Successfully Added Smart External Battery Charger - 4x18650 Batteries, LCD Display, Double USB Output to your Shopping Cart. Power up all your electronics with the powerful 4x1865 external battery charger with an LCD display and a double USB output. Charge up all your gadgets with the super powerful external battery charger, that can power up your personal computer, laptop, smartphone, tablet and more. The external charger and power bank runs on 4x18650 batteries (not included). You can use the device as a power bank and charger. Simply charge up the 4 batteries and use them as you please. With this powerful device, your charging problems will be over once and for all. All your electronics, from smartphones and tablets all the way to laptops and personal computers will have a powerful battery backup whenever you need it. The external charger and power bank comes with an LCD display that will show the charging process and you will be able to clearly see the status of each of the 4 batteries. The battery pack comes with overload and short-circuit protection for your safety. 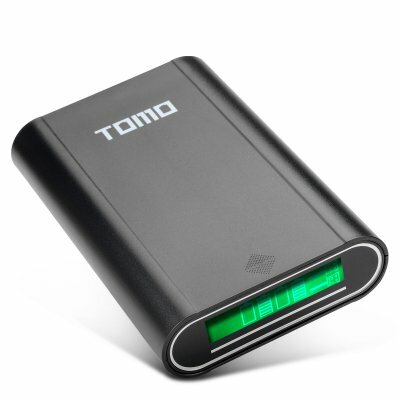 The battery charger features dual USB output and you will be able to charge several gadgets simultaneously. The Smart External Battery Charger comes with a 12 months warranty, brought to you by the leader in electronic devices as well as wholesale battery chargers..